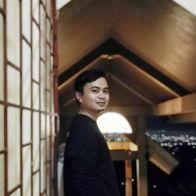 It was a special first night during our visit to the cool highlands of Tagaytay City. 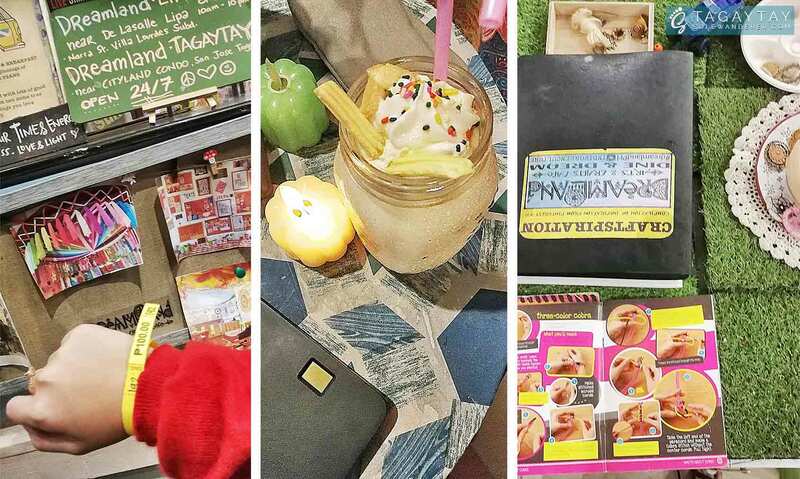 It’s not hard for first-timers like us to look for a good place to hang out in the area. 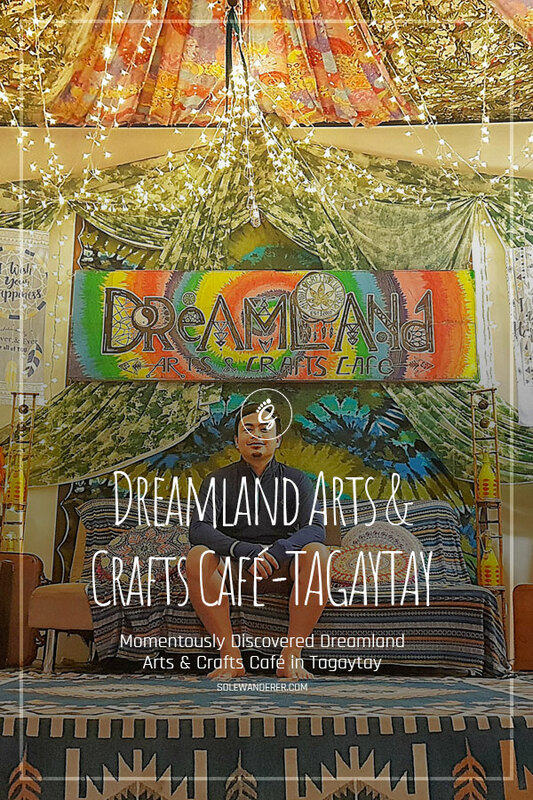 With the help of Google, we momen1tously discovered Dreamland Arts & Crafts Café, as one of the coffee shops with great ratings and is open 24 hours located few meters away from Olives-Tagaytay Rotonda. At first, I formed an opinion and deemed the photos of Dreamland Arts & Crafts Café from the internet as made-up. 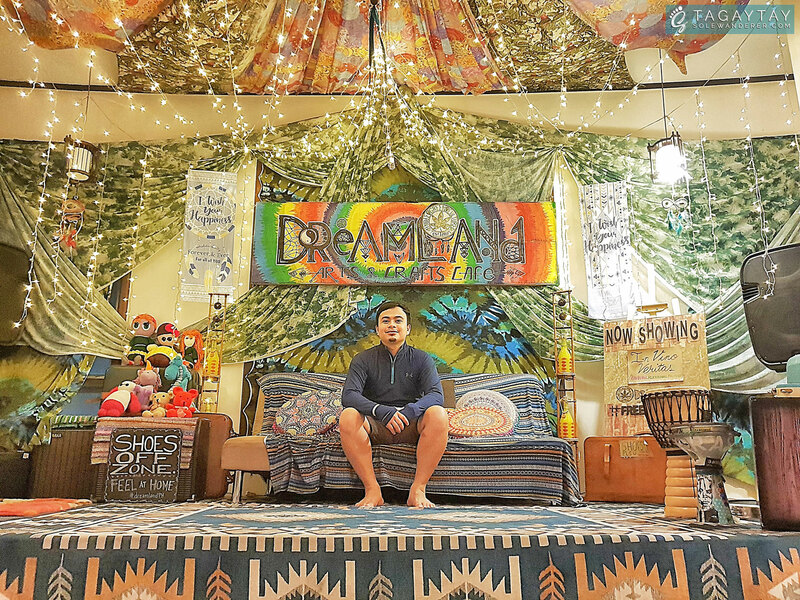 But, upon seeing the place from the outside view and as we enter this café, we were filled with awe on how extraordinary the Dreamland Arts & Crafts Café design is. We arrived in the café at approximately 9:00 PM and paid an entrance fee of PHP 100 for adults. Registration fee is consumable at their café, boutiques, bed, and breakfast. If you are an art-lover like us, this will cause you great elation at regaining energy. Indeed, the place attracts travelers offering a different kind of dining experience. 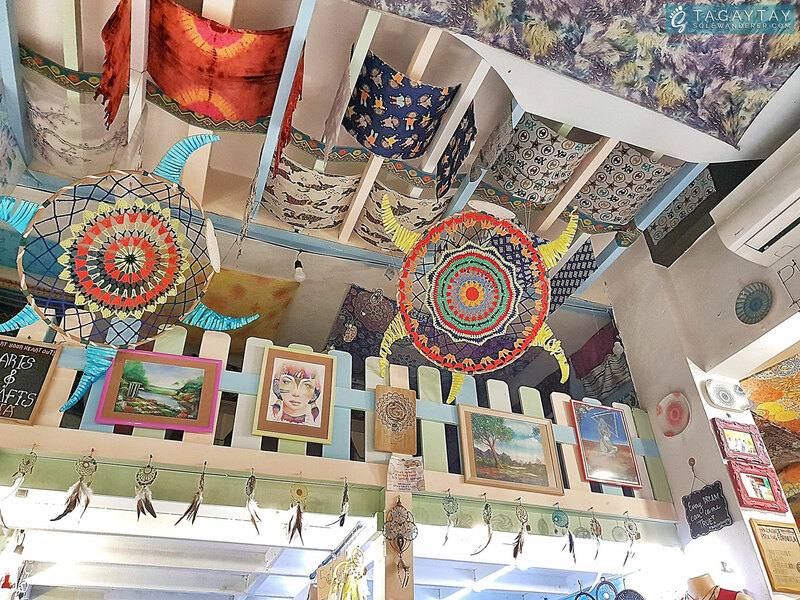 Dreamland Arts & Crafts Café is a mixture of bohemian, tropical feel and hippie with dream catchers everywhere in different sizes and colors, designed walls and ceilings, posters, quotes, recycled materials, photos of different artists, craft activities. These are all for visitors who wish to create artworks like bracelets, necklace, paint, and others (which you need to pay for the materials you used). Honestly, we couldn’t help ourselves but take as many pictures as we can! Almost every corner is worth a capture and has a story to tell. 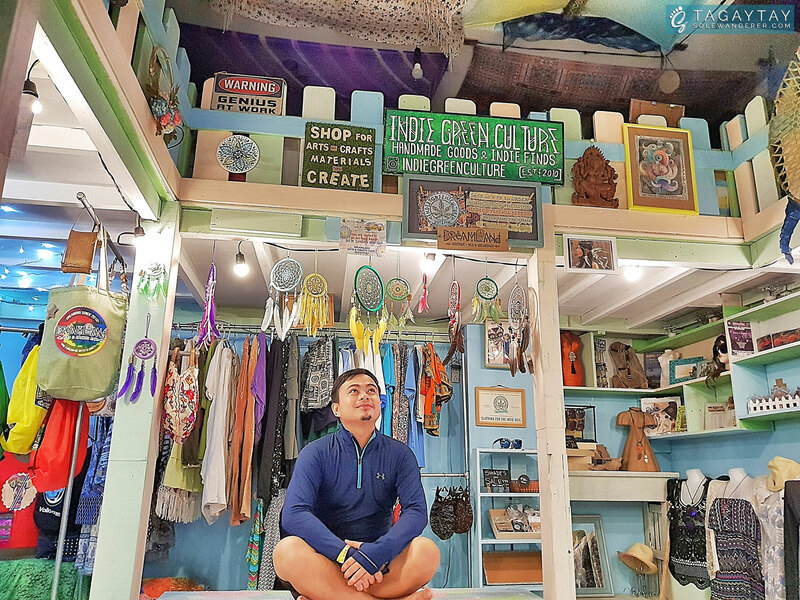 Aside from that, they also sell stuff that you might be looking for but not available at any supermarket/malls because they are all in-house made by Indie Green Culture. Pens, stationery, notebooks, fashion pieces of jewelry, clothing, stickers, bags, coloring books, wooden statue, phone cases, yarns, dream catchers and a lot more. After our tour around Dreamland Arts & Crafts Café’s boutique, we ordered a couple of drinks at their café. They also offer breakfast meals like tapsilog, porksilog, bangusilog and etc. Pasta, combo meals, and even squad meals are also available. If you’re a health-conscious person, I would not recommend their frappe drinks, as everything was obviously mixed with too much sugar. 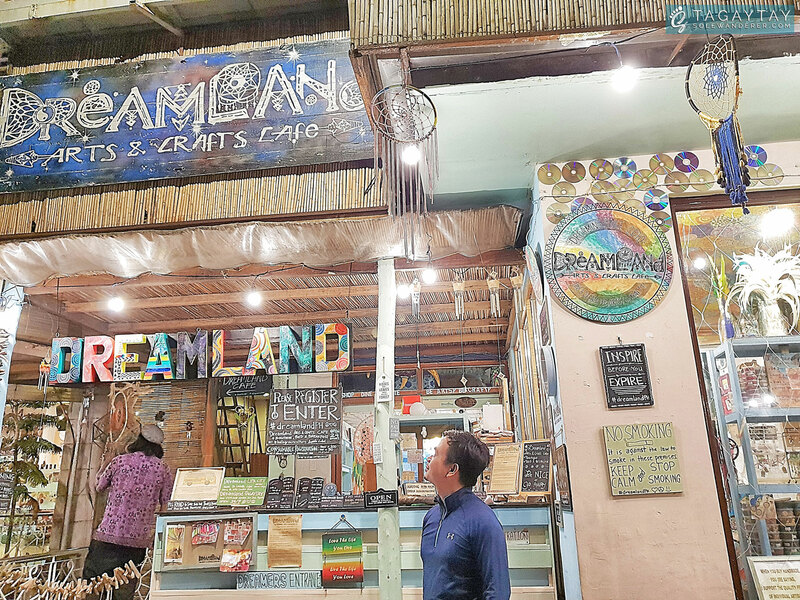 Dreamland Arts & Crafts Café’s foods and drinks are way a bit pricey than any usual price and may disappoint those on a healthy diet and lifestyle. But anyhow, we fell in love with the ambiance, it is very relaxing and comfortable which made us stayed a little bit late until past midnight to remember. This café is also a good therapy telling us the purpose of art is washing the dust off of daily life off our souls and somehow enables us to find ourselves. 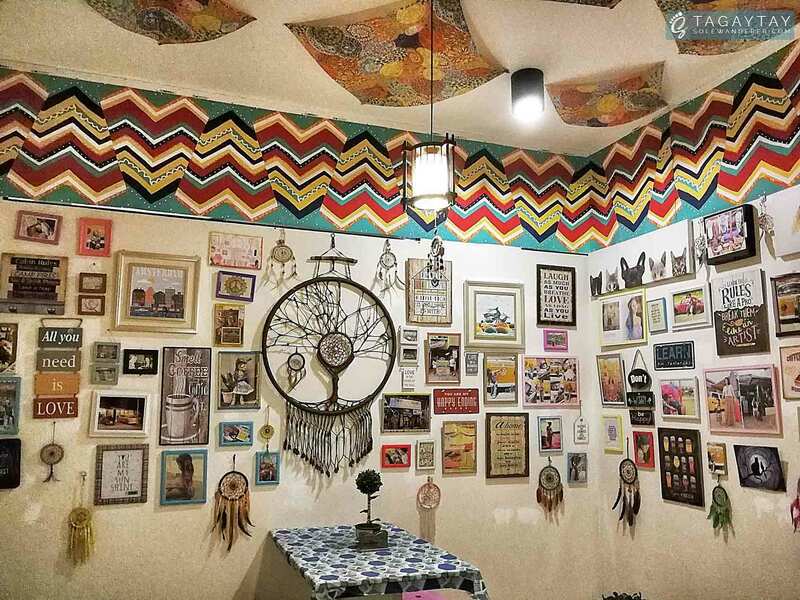 Choose happiness in Dreamland Arts & Crafts Café!